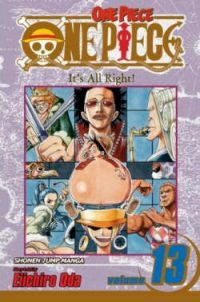 No sooner have Luffy and crew escaped the bounty hunters of Whisky Peak than they become the target of a sinister criminal outfit known as Baroque Works. But the Straw Hat Pirates have bigger worries now that they've agreed to protect a very important person in return for untold riches. ONE PIECE ©1997 by Eiichiro Oda/SHUEISHA Inc.